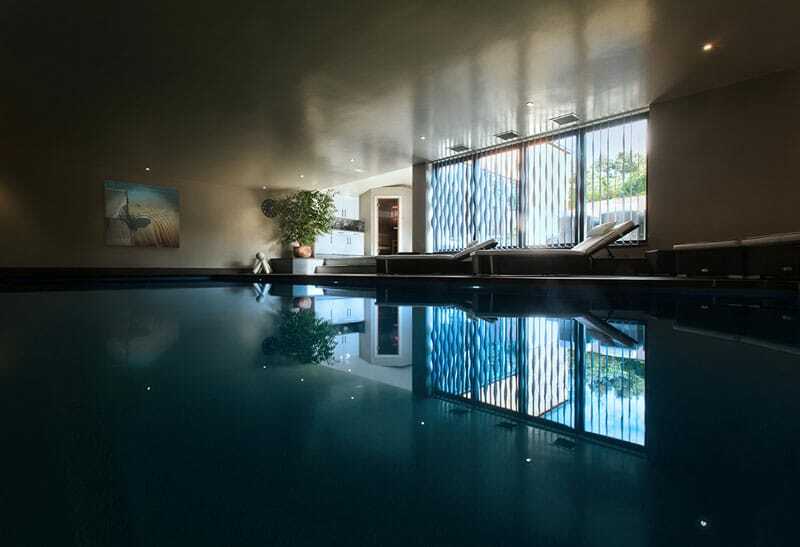 The compass pool we recommended and installed met all of those requirements, meaning that the finished result was a stunning swimming pool, suiting its surroundings perfectly. The lighting chosen by the client accentuates the modern design, and the hidden slatted cover creates a pool area that is attractive even when not in use. As you can see from the photographs, this pool is ultra-contemporary in design. It integrates perfectly with the simple yet stylish décor of the pool building and the pool itself is unobtrusive, aided by the hidden slatted safety cover system. The high water level means that the pool surface is an almost seamless continuation of the flooring. The subtle lighting and bronze tint mirrors highlight the simplicity and minimalism of the pool structure, leaving swimmers and observers free to enjoy a peaceful and tranquil pool experience without distraction.